Furious Scotland rugby fans expressed outrage at the World Cup Rugby ban. 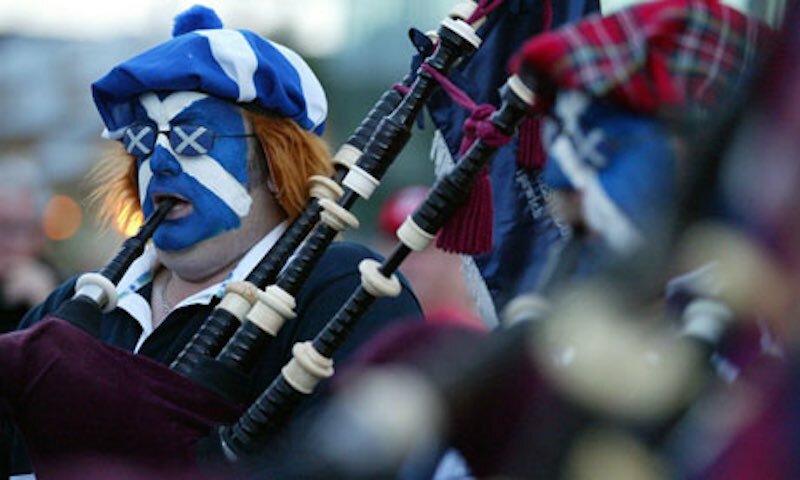 Scottish rugby fans will deprived of serenading fellow supporters with their bagpipes in the stadiums. The row has even reached Westminster after Scottish MPs put down a Commons early day motion formally criticising the ban. It says: “This House condemns the banning of bagpipes from the upcoming Rugby World Cup; calls on World Rugby Union to allow bagpipes to be played at the World Cup; recognises that bagpipes are not dangerous; stresses the importance of cultural identity associated with bagpipes for Scots, in the UK and around the world; and acknowledges that bagpipes are often played in formal ceremonies”. Banning the bagpipes at the Rugby World Cup is simply not cricket!